German ride manufacturer Huss Park Attractions GmbH has announced the development of a brand new ride concept (registered by German utility model) that will provide a unique experience for visitors to parks and other attraction destinations. The Explorer makes use of HUSS®’ many years of experience in the design and manufacture of observation towers, combining this with an audio visual system and sensory elements that together provide an immersive experience in a totally enclosed environment. 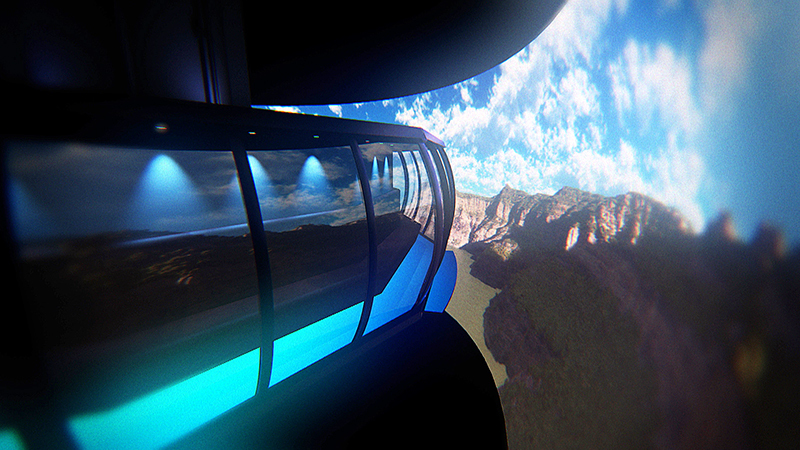 Utilising a 12m diameter, circular gondola similar to those used on the company’s Sky Tower rides, the Explorer will accommodate up to 70 guests, including wheelchair users. The experience begins with a themed pre-show in the queuing area as waiting guests watch the gondola descend dramatically into the ‘earth’ and out of sight beneath a closed iris. The scenery and theming in the pre-show section will depend on the subject chosen for the core content of the ride. 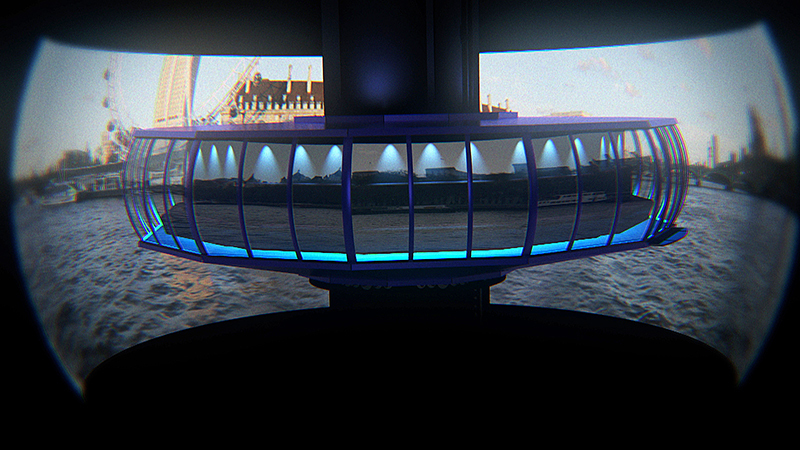 Guests are seated in the closed cabin facing outwards, looking through the full height glass sides of the gondola which allow for unrestricted views of the surrounding screen. A seamless 360° multi-projector film format delivers truly immersive, high definition content which is unique to each installation. Once below the ‘surface,’ guests can enjoy a wide range of environments, such as those beneath the sea, in space, in the eye of a storm or some of the world’s most spectacular scenery. The content can also be created as CGI, live action or a composition of both, the flexibility of the system being one of its key benefits. As a film based attraction, the experience can be almost anything an operator chooses, from a calm, scenic journey to a white knuckle thrill ride, while refreshing the ride is simple and cost effective with only the media needing to be replaced. HUSS® has taken a number of key considerations into account in the design of the Explorer, as Mirko J. Schulze, CEO of Huss Park Attractions GmbH, explained. 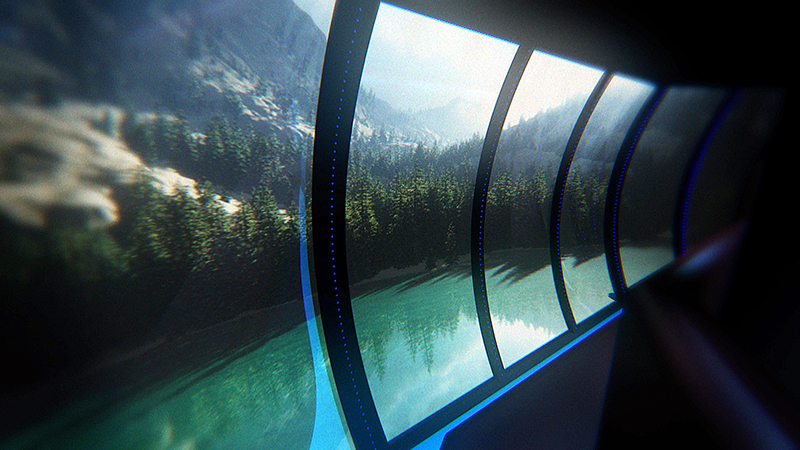 The Explorer will take guests into a variety of exciting environments viewed through the full height gondola windows and delivered via a seamless, 360°, multi-projector film format, creating a totally immersive experience.